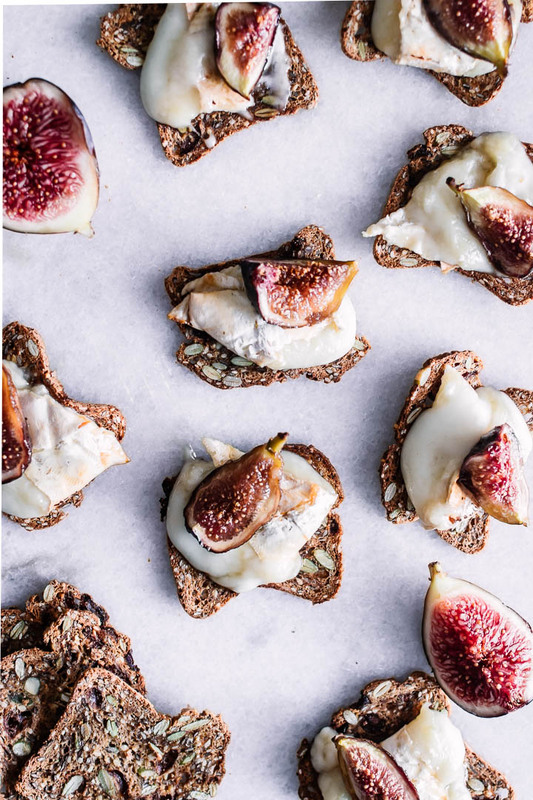 Baked Figs with Maple Syrup and Creamy Brie, the perfect match of savory and sweet. Four ingredients and one pan for this simple yet indulgent dish. Baked Brie with Figs and Maple, a perfect combination of savory cheese with sweet figs and maple syrup. Four ingredients, one pan and endless praise for this simple yet rich and indulgent dish. 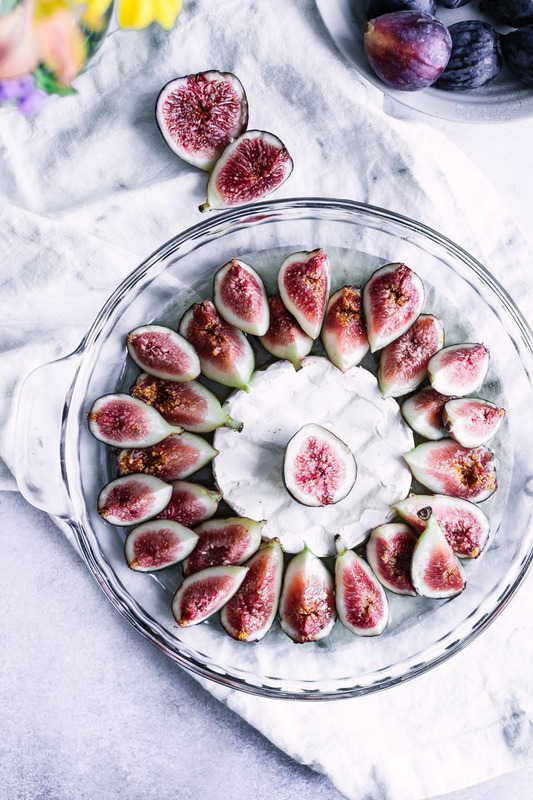 Your opinion is needed: is a dish of baked figs with maple syrup and creamy brie that is served with crispy crostini an appetizer or dessert? One could argue that creamy and savory goat cheese with a side of bread is absolutely an appetizer but on the other hand the sweetness of baked figs and maple syrup could easily put this dish in the dessert category. Either way, it’s damn delicious. Did you know figs have a long and rich history that intertwines with the birth of human civilization? The history of the fig tree is wrapped tightly around the history of humans, with human consumption of figs dating back to Mesopotamia and beyond. Many of our human ancestors (including our pre-human ancestors!) depended on figs as a source of food and also chewed the bark of fig trees for medicinal purposes. So one could say humans evolved with the fig tree. The fig tree is found in human mythology and religion, with even the Buddha himself attaining enlightened under a tree bearing figs. 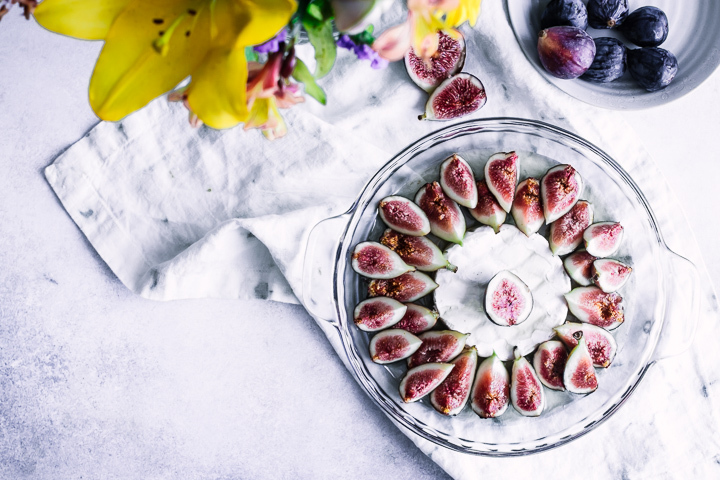 From ancient Asia, to Babylon, to Egypt and into Greece and Rome, figs have followed and flourished in every human civilization since the beginning of our times. Is it true every fig has a dead wasp inside? Recently the internet went crazy with fig and wasp stories after a video depicting a wasp laying larvae inside a fig went viral. The truth is that wasps and figs are tightly bound to one another. Each of the 750 different types of fig trees depends on an individual species of wasp as pollinators and wasps depend on fig trees year-round for food (in their native climates) and as a site for laying eggs. So there you have it, figs definitely do need wasps to survive but by the time the fig hits your plate the wasp is long gone. 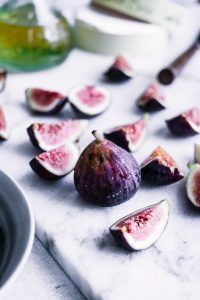 Raw figs have a mild, sweet and grainy taste but it’s important to remember that like most fruits the flavor of figs change dramatically when cooked. When heated figs’ sweetness becomes much more intense and pairs well with strong and savory flavors. 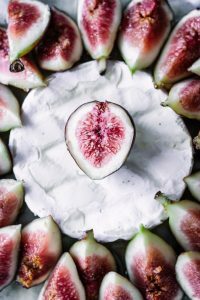 Baked figs: baking figs is super easy and the below recipe for Baked Brie with Figs and Maple can be customized to fit any flavor combination. 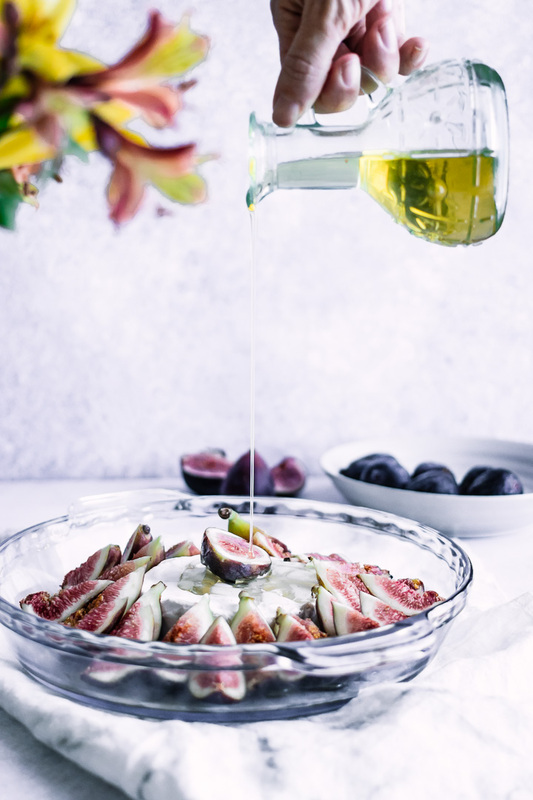 Try drizzling figs in honey or balsamic and topping with nuts or seeds before baking. Or use figs in baked goods like galettes, muffins or scones. 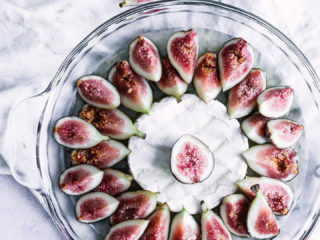 Use figs as a topping: Figs lend a mild sweetness to most any dish and are delicious on top of oatmeal, yogurt, sweet grain bowls or even stewed and served over certain meats (pork goes well with sweet toppings). Use figs in your smoothies: Move over strawberries and cherries, figs are the next smoothie sensation! Substitute figs for your usual sweet smoothie ingredient for a summer flavor change. And let me know your smoothie flavor combination (I need ideas!). Make a fig cocktail: Of course you should experiment with figs and alcohol! 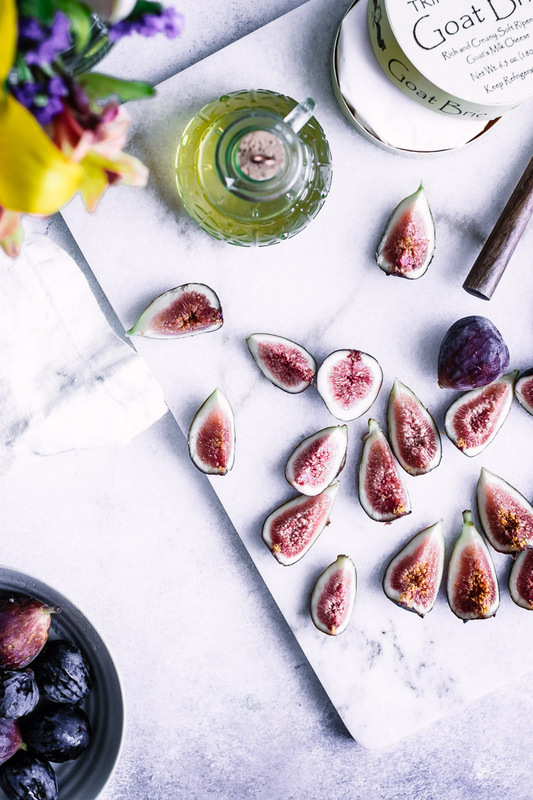 Figs could pair well with most any spirit; try using them in a white wine sangria, a mojito or muddle them with herbs and top with a shot of bourbon. Have with with creating new cocktail ideas! This simple 3-ingredient recipe is a low maintenance, but high flavor, way to impress your guests at small gatherings. The recipe comes together with minimal effort and tools, however there are a few kitchen essentials I recommend that help. I hope you love this simple baked brie appetizer, it’s one my favorites to whip up in the late summer and early fall when figs are in season. Pair it with your favorite crackers, crostini, or bread for serving and enjoy the combination of both sweet and salty. Enjoy! Craving more simple appetizers featuring baked fruits? Check out our Grilled Peaches with Brown Sugar Bourbon Sauce and Peach Burrata Honeycomb Fruit Salad recipes, both feature sweet fruits with savory ingredients. Did you make this Baked Brie with Figs and Maple? 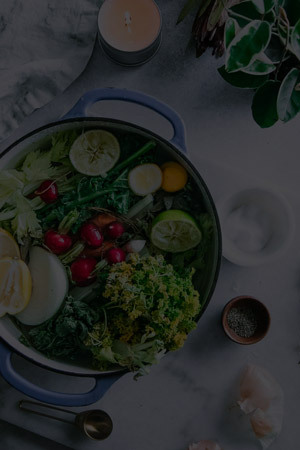 Leave a comment below and rate the recipe to let us know how it turned out. Save this recipe for later by pinning to your favorite appetizer Pinterest board and make sure to tag me on Fork in the Road’s Instagram to show me your bake brie creations! Baked Figs with Maple and Creamy Brie, a perfect combination of savory cheese with sweet figs and maple syrup. Four ingredients, one pan and endless praise for this simple yet rich and indulgent dish. Place brie in center of a glass baking dish. Arrange slices of brie around cheese and top figs with maple syrup. Bake for about 20 minutes, or until figs begin to brown and brie is soft. Remove from the oven and serve immediately with crostini, crackers, or bread for spreading. Nutrition information does not include crostini, crackers, or bread. Use leftover figs and brie on sandwiches, in salads, or on toast the next day. Leftovers and Storage: Store in an airtight container for up to four days in the refrigerator. I don’t suggest keeping it longer because after the cheese is heated and then cooled it becomes very hard. Leftover toasted bread will stale quickly, so re-toast bread if you reheat the dish again. Nutrition: Some dishes are light and fresh, and some are rich and indulgent. This baked brie appetizer is the latter and is meant to be enjoyed in small portions. Thanks so much for the comment and follows, Kelli! I’m happy to contribute and be a part of the Yum Goggle community. This looks beautiful and delicious! Figs are so awesome and when you combine them with a great cheese like this… boy… to die for. Yes, it was delicious with the gooey cheese. Perfect blend of salt and sweet. Thanks for stopping by! I love figs and I love brie, but I never thought of putting them together! This looks like a simple recipe, I’ll definitely try it. It’s such simple combo, but it works!